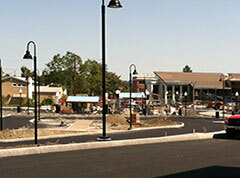 Road heading down to the Arthur & Patricia Ryan Center for Business Studies and new traffic turnaround. 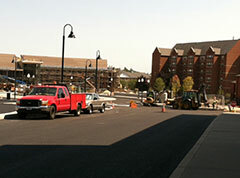 This road will have cobblestone divider where buses will pickup students going to and from the campus. 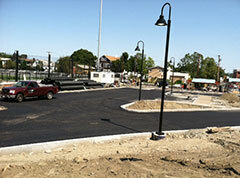 Anderson Stadium south parking lot will accommodate 30 vehicles.